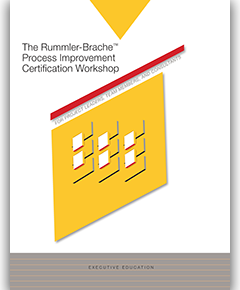 What differentiates Rummler-Brache’s approach to process improvement? Well, first, there’s the strength of the methodology itself. It’s unparalleled. Next, there’s ePIP, our digital tool set. Still another defining feature is our emphasis on knowledge transfer. Our Process Improvement Certification Workshop helps our clients become highly self-sufficient in applying our world-class approach. 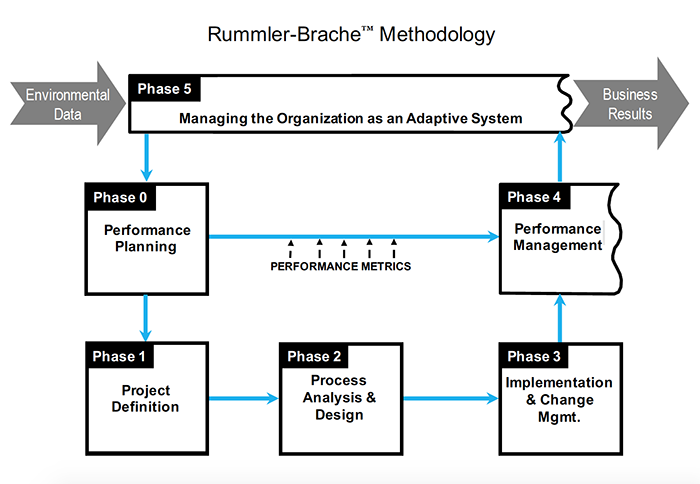 Alan P. Brache is co-founder of The Rummler-Brache Group and co-author of Improving Performance: How to Manage the White Space on the Organization Chart. He has also authored two additional books: Implementation: How to Transform Strategic Initiatives into Blockbuster Results and How Organizations Work: Taking a Holistic Approach to Enterprise Health. His consulting, training, and writing has focused on resolving critical issues through the identification, documentation, analysis, design, measurement, and continuous improvement of business processes. Much of his recent work has been in the areas of using process improvement and management as a tool for strategy implementation; designing measurement systems; installing infrastructures for continuous improvement; and linking BPM to other efforts. Prior to joining The Rummler-Brache Group, he spent nine years with Kepner-Tregoe in a number of positions including vice president of product development and technical director of the strategy group. Alan has worked with companies in sixteen countries.